Near Bude, a woman suffered a back injury after falling from her horse. The crew treated her on scene and she was taken to North Devon District Hospital for further treatment. 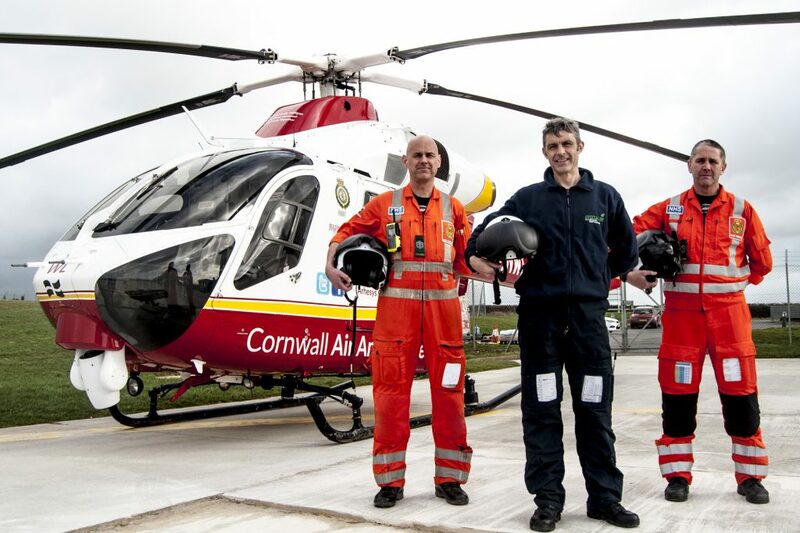 Near Newquay, a man was treated for a leg injury following a kitesurfing incident. He was taken to hospital by land ambulance. Near Falmouth, a woman suffered lower body injuries after being crushed by a car. 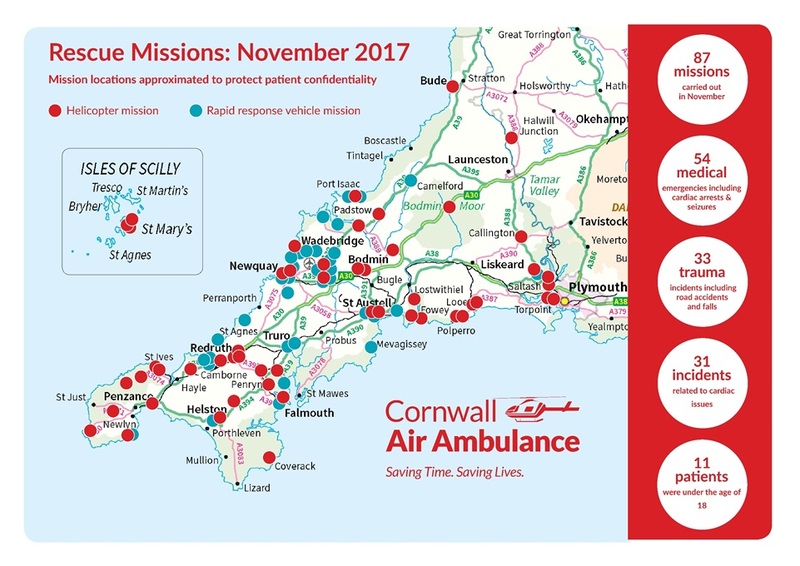 The crew treated her on scene and she was flown to Royal Cornwall Hospital for further treatment.